Many moons ago, when Kali was a free state, and cash & carry reigned supreme, I ran across this little guy garage sailing. The little old lady that had it out, said her grampa "Brought it back from over there...he was a Doughboy". I was vaguely familiar with the action, but had only seen long rifles. When I gave it the quickie once over, it seemed to me that it could have been from a cavalry unit, mainly by the sling placement (saddle ring?). It did have some weird damage to the stock, but for $25 bucks, I'm a sucker for old iron & wood. As the years pass and I hook up with the likes of you fellas, I've become a littler more edjumacated bout different stuff. 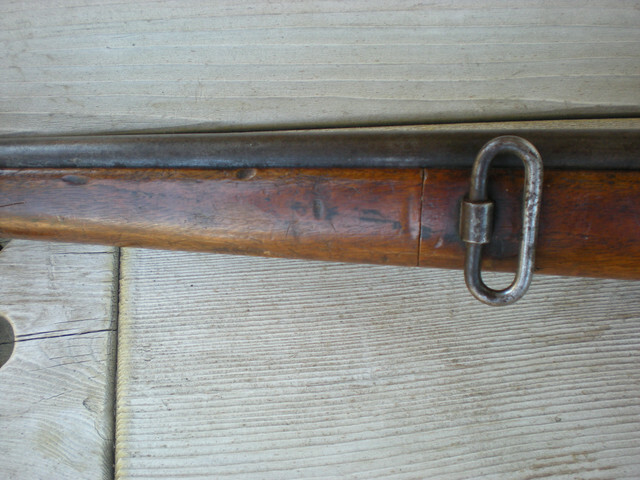 It appears that it's a not too common Styer Mannlicher Model 1890 Cavalry Carbine. No hand guards, bayo lug or stacking hook, and this one has a 3rd sling loop. 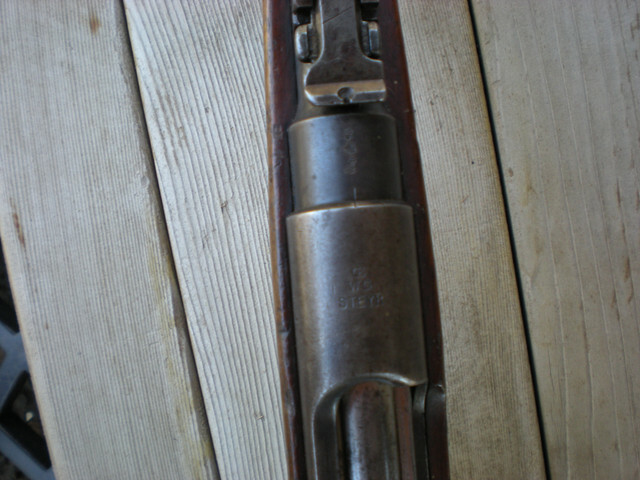 The front sight base is dove tailed, rear sights are in graduated in schritt, the barrel & receiver numbers don't match. There's no indication that the caliber has been changed. 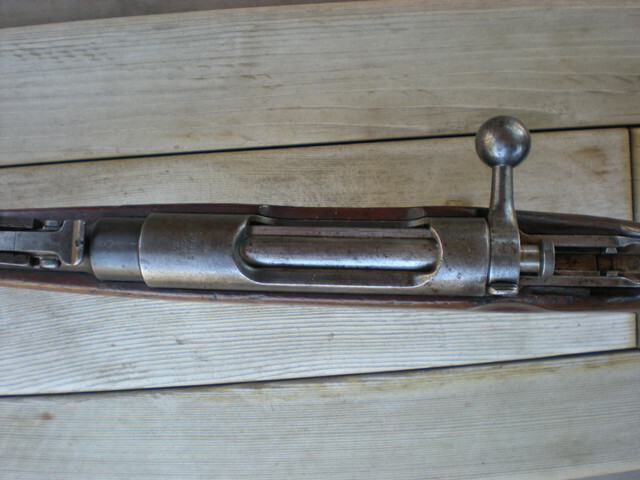 The bolt cocking piece is the early round type. And the piece d'resistance was the afore mentioned stock damage. 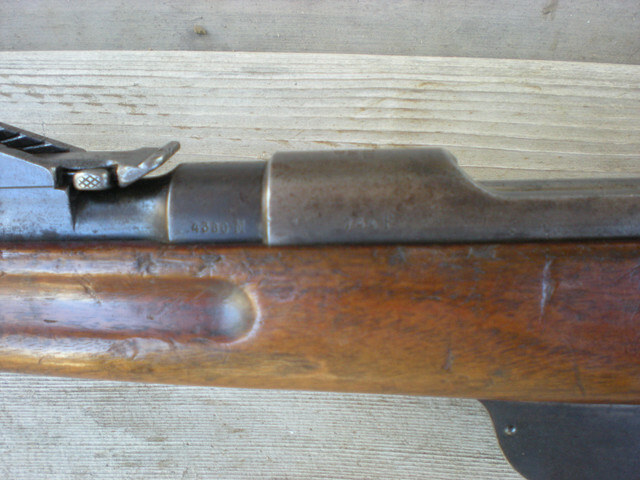 The front part of the stock had been cleanly cut with a hack saw, near the front sling band, and was only held on with the front band. It was quite perplexing as a presumed Bubba sport job. When I got it home, I glued it back with some Elmers wood glue. 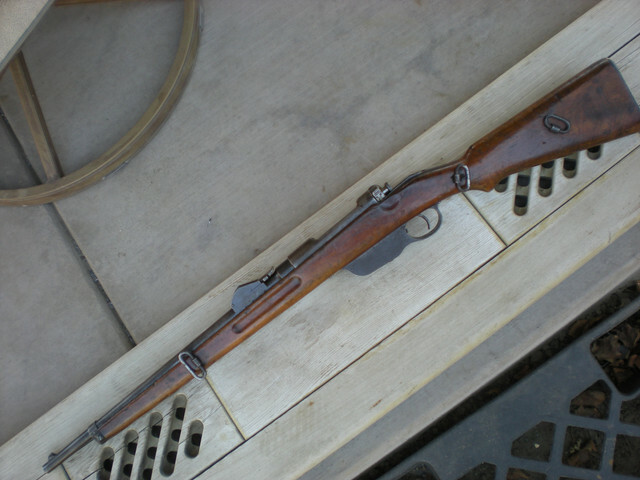 Nice rifle, something I would like to find. It looks to be still in 8x50R? Nice carbine. Many thanks for your inputs and photos Echo1.. Considering the importance of this arm in Eastern Europe, we sometimes to not give these guys enough attention..